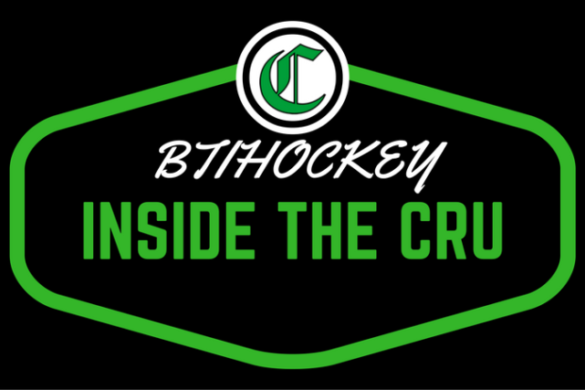 Today on BTI’s continued 31 for 31, we have the Los Angeles Kings. Lead by captain Anze Kopitar who finished 4th in Lady Byng voting, 3rd in Hart voting and 1st in Selke (his second) the Kings squeezed into the playoffs before being swept by the eventual Western Conference champion Vegas Golden Knights in the first round. Injury hurt LA early into the season, losing Jeff Carter who was on fire before lacerating a tendon in his ankle. The usual suspects for LA helped pick up the load left by Carters absence, Drew Doughty had another Norris caliber season, setting a career high in points with 60 (10G, 50A) and Jonathan Quick had his highest SV% (.921%) since 2011-12. The Kings caught fire, the same time Calgary’s flame burnt out, LA would finish the season 12-5-3 in their last 20 games leap-frogging; St. Louis, Dallas and Calgary in the NHL west standings. 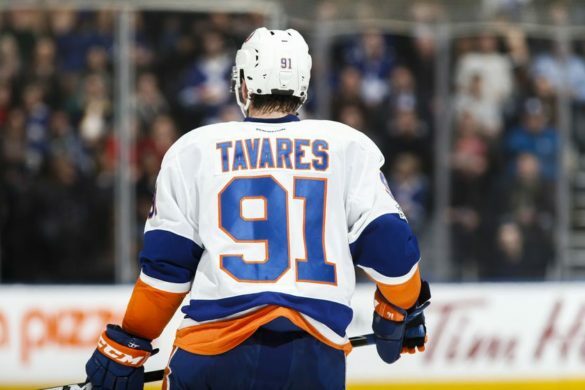 It may not look like much over the course of the summer but the Kings managed to sign the most coveted Free-agent behind John Tavares and extend a top 5 NHL defensemen to an 8 year deal. Good doesn’t always have to mean busy when it comes to the NHL offseason. 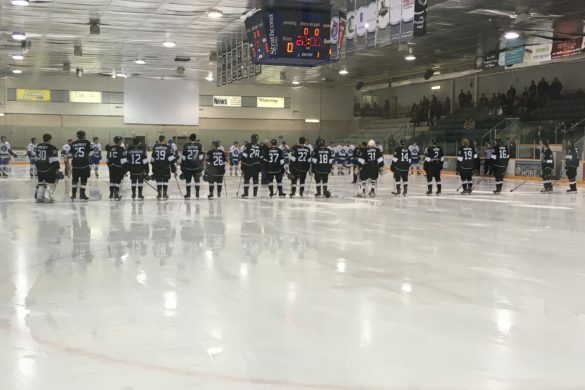 The Kings have expectations for home grown players like Paul Ladue and Kale Clague to step into the line-up and made moves accordingly. After 5 years away from the NHL, Kovalchuk is set to make his long awaited return to the North American game. A lot of questions marks surround Kovalchuk, his last NHL was the lock-out shortened 2012-13 where he would put up 31 points in 37 games before returning to the KHL the following season. The good news for Kings fans is that I believe ‘Kovy’ can pick up exactly where he left off. With the chance to play alongside Anze Kopitar, all Kovalchuk has to do is stick to his game and continue to shoot the puck. Look for him to be the main weapon on LA’s top PP unit and for Ilya to surpass the 30 goal mark in his first season back in the NHL. A season immensely cut short by injury Carter was on pace for yet another 60+ point season, before lacerating a tendon in his ankle. After a season to rehab and train expect Carter to come back just as on fire last year and with a reunited that 70’s line. Carter has scored 60 plus points (excluding last season) in each of his last three campaigns. After setting career highs in both points in assists, Brown is due to take a turn for the worse on the production side. Sliding into the 8th slot in the Western Conference, It’s the return of the Kings to the playoffs this season. 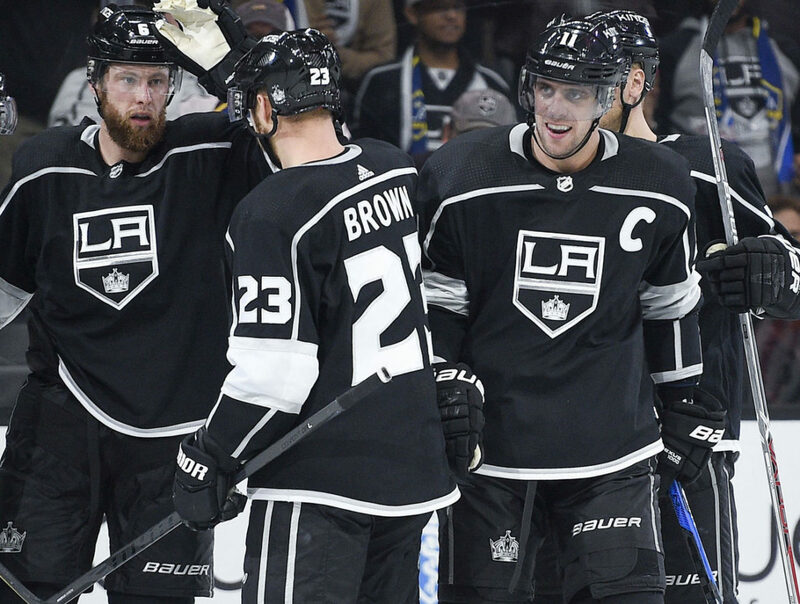 The Kings will be coming back into the playoffs and hopefully with a chip on their shoulder after only scoring 3 goals in 4 playoff contests against the Vegas Golden Knights last year, on their way to a 1st round sweep. 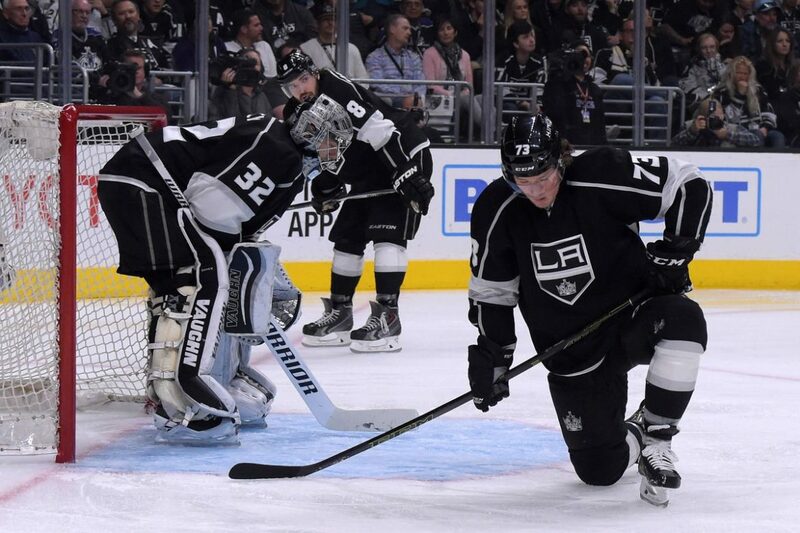 Scoring hurt the Kings last year and if not for Jonathan Quick shutting the door, night in and night out, LA may not have even made the playoffs last season. That is not to discount the monster season Anze Kopitar had but it is the exact reason why LA went out and signed sniper Ilya Kovalchuk. Internal candidates are also (Paul) ‘Ladue’ to make an impact. Ladue looked good in limited situations for the Kings at the end of the year and into the playoffs, expect him to become a regular in the lineup this year. 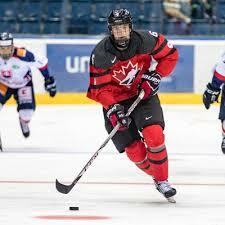 As well as Kale Clague who looked like a stud for Canada at last years World Juniors and should be vying for a roster spot in training camp. The 2018 NHL entry draft will be hosted in Dallas, at the American Airlines Center, June 22nd. Even though the show will be in the heart of Texas, the night belongs to Buffalo. With the 1st overall pick the Sabres will undoubtedly select Swedish defensemen Rasmus Dahlin, but what about the rest of the picks in the top 15? 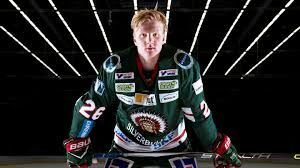 With their first pick, in the first round, the Buffalo Sabres select: Rasmus Dahlin. TSN Director of Scouting Craig Button has called Dahlin ‘the Connor McDavid of defensemen.’ The highly coveted Swedish D-man is considered a generational talent is drawing comparisons to the likes of Nick Lidstrom and Scott Niedermeyer. He is the total package. 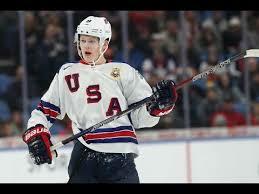 Mix in his hockey sense with his shot, vision, recovery and passing, and you have the number 1 pick this year. The only knock on the 6’2” 180LBS 18 years old is just that. 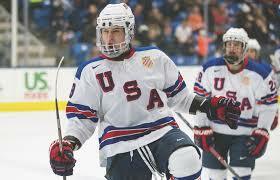 He will need to put on 10-15 pounds of muscle to reach his full potential in the NHL. With his work ethic and dedication to the game, I don’t see that being a problem. Rasmus Dahlin will be a force on defence in the NHL for years to come. Following the belle of the ball is the Carolina Hurricanes and Montreal Canadians. The Canes were big-time lottery winners moving up from 11th to 2nd. The Montreal Canadians moved from 4th to 3rd. 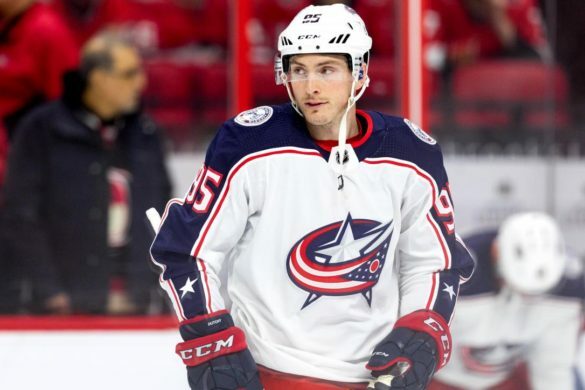 Carolina is rumoured to be interested in moving down but if they do, they’re missing out on a chance to grab an excellent player. 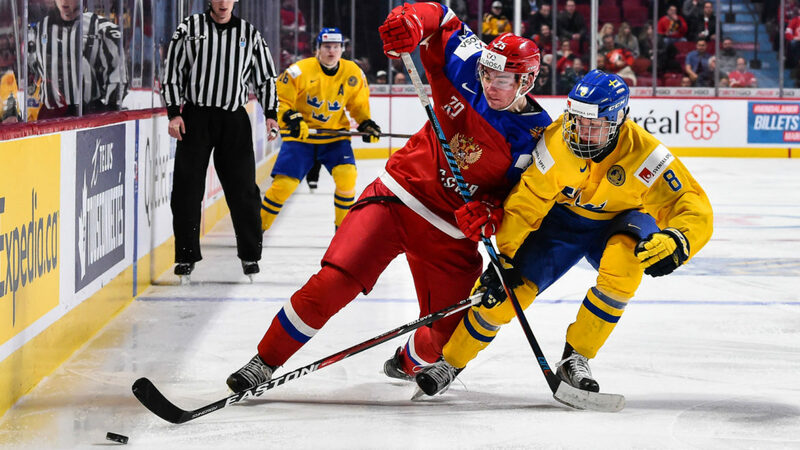 Russian winger Andrei Svechnikov is the most talented forward in this draft. If Dahlin is the consensus #1, then Svechnikov is a lock a two. The 1st overall pick in 2017’s import draft was an immediate mover and shaker for the OHL’s Barrie Colts. Playing in only 44 games this year he managed 40 goals and 32 assists good for 1.63PPG. He is a pure scorer with his shot strength and accuracy and will likely be the leading goal scorer to come out of the draft. Carolina with new ownership should look to build around Svechnikov the same way they did Jeff Skinner but hopefully with more overall success. 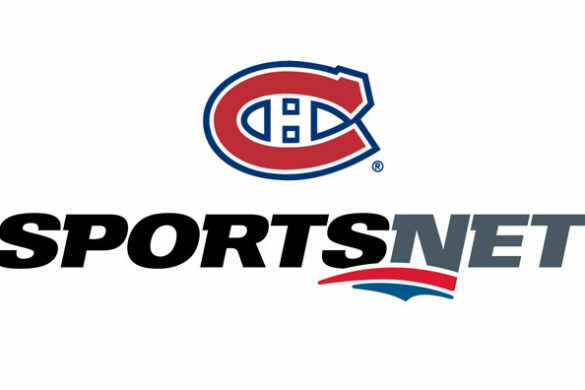 The Montreal Canadiens are in a bit of a predicament. After a trade to Arizona that sent Alex Galchenyuk to the Coyotes for Max Domi, the Habs are somehow thinner than they already were at the centre. As of today, the depth chart at centre is Jonathan Drouin, who has yet to prove that he’s not a winger and Phillip Danault, who at his full potential is a 40 point player. This is also a draft considered low on centres, and at #3 the Habs should roll the dice on what could be the most dynamic forward in this draft, Jesperi Kotkaniemi. No player has had made bigger leaps through the pre-draft rankings this season. TSN’s Bob McKenzie had Kotkaniemi ranked 19th at the mid season point. 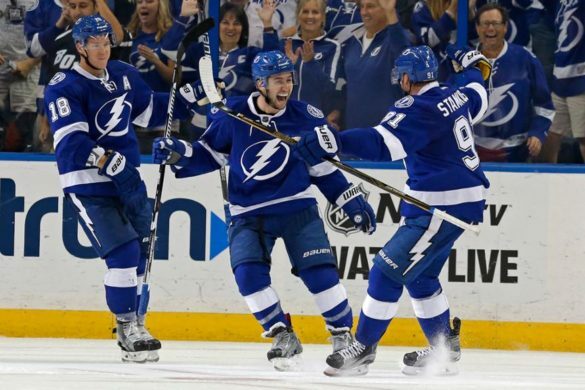 Since then he has skyrocketed all the way into the top 5 and consistently draws comparisons to players like Anze Kopitar, Alexander Barkov and Mark Scheiffle. At 6’2″ he adds size to and skill to an otherwise smaller lineup in Montreal and while there is risk associated with selecting Kotkaniemi, whoever takes the chance won’t regret it. The Ottawa Senators owned the 2nd highest chance of drafting 1st overall but slid down to 4th after the lottery. They have the option to send their 1st round pick this year or next to the Avalanche as part of the Duchene deal. They won’t flip this years pick to Colorado but will instead draft the 6’3” defensemen from Acadia Bathurst, Noah Dobson. Dobson is arguably the 2nd best defensemen in this draft behind the all-mighty Rasmus Dahlin. Drafting Dobson will give Sen’s fans hope for the future as they watch Erik Karlsson’s time in Ottawa draw to a close. Dobson showed his offensive side this year collecting 69 points in 67 games, including 17 goals. He also racked up 13 more points in 20 games leading his team to the Memorial Cup. Filip Zadina is the most highly touted prospect to come from the Halifax Mooseheads since 2013 when Nathan MacKinnon and Jonathan Drouin were drafted 1st and 3rd overall respectively (sorry Nico Hischier). 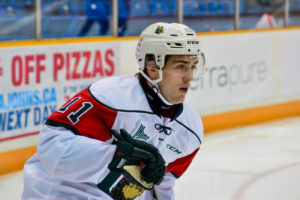 The Czech born winger scored 44 goals and 38 assists for the Mooseheads last year. To make it in the NHL, Zadina needs to work on his skating. While he has the speed, he does not have today’s NHL speed. The promising winger could be NHL ready by the start of training camp, but the Coyotes who are in a stacked Pacific will be looking for all the help they can get. Zadina joins an impressive prospect pool in Arizona that includes; Clayton Keller, Dylan Strome, Christian Dvorak and Jakob Chychrun. With hardly any separation of skill between the rest of the pack, things get harder to predict. Outside of the top 5 (maybe even top 2), nothing is guaranteed, with that in mind lets go through picks 6-15. 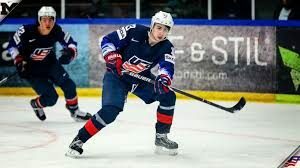 With the man they most likely wanted off the board, Noah Dobson, the Red Wings will look to stay with a D-man and select Quinn Hughes from the University of Michigan. He plays a very up-tempo offensive game and would be knocked for his D if not for always having the puck on his stick. Hometown addition doesn’t hurt fill some seats in the new arena. Sliding down the draft board to #7 is Brady Tkachuk, known for the same style of play like his dad and brother, Brady could be an immediate impact player. Outside of the hopeful Elias Pettersson, the Canucks lack depth on the left side and Tkachuk finds himself a divisional rival to his brother. From youtube sensation to NHL-draft-pick Oliver Wahlstrom has impressed in his three years with the USHL. This most recent year he blew his old stats out of the water racking up 45 points in just 25 games. The Blackhawks have built dynasties from drafting before, and it’s time to get back at it if they have any hope of winning again. The Rangers are no longer in a win now mode and need to take the best player available. While they would love a winger or centre to draft 9th, the best talent available is defensemen at this spot in the draft. 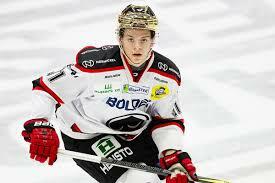 So without further ado, the Rangers draft Swedish stud, Adam Boqvist. Boqvist will be a bit of a project, listed anywhere from 150-165 pounds he will need to put on significant weight before making the NHL. If the Oilers decide to hold onto their pick at ten, they’ll have plenty of options. This is most likely the last top 10 pick the Oilers will own for the next 15+ years, so they need to make it count. 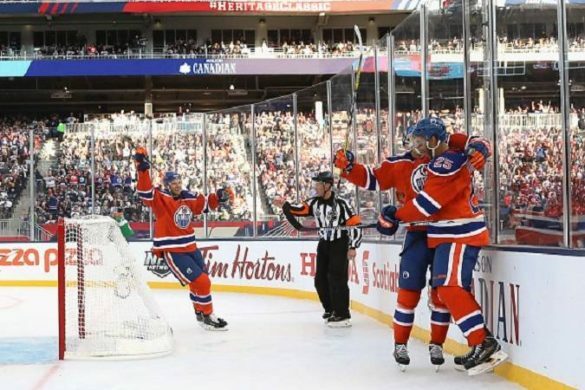 Defensive depth is a need for the Oilers, the cupboards are nearly empty in the farm, apart from Ethan Bear who likely won’t make the full-time NHL jump until 2019-20. 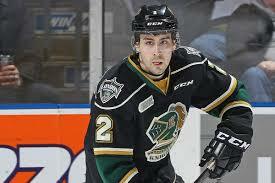 Evan Bouchard fills that hole for the Oilers. The highest scoring defensemen in this year’s draft Bouchard put up 87 points in the OHL last season the most since Anthony DeAngelo in 2014-15. The only question with Bouchard is if his offence in junior will translate to the NHL, he put up 25 goals for the London Knights last season. The Islanders hold the 11th, and 12th picks in this years draft, the former acquired in a trade with Calgary for Travis Hamonic. 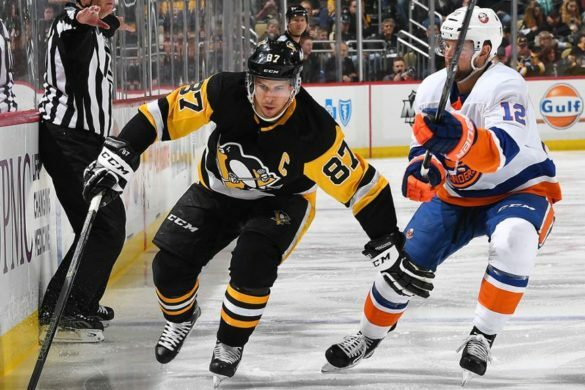 The Islanders have plenty of Talent at forward, John Tavares (pending UFA), Mathew Barzal, Jordan Eberle, the list goes on, now its time for a defenseman. With three pending UFA’s on defence, Calvin de Haan, Thomas Hickey and Dennis Seidenberg it’s hard to see the Islanders re-signing all three. They likely let Seidenberg walk and will have to choose between one of de Haan or Hickey. 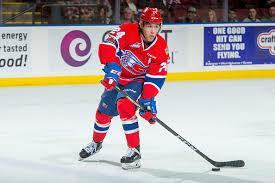 With the 11th pick, the Islanders draft Ty Smith from the Spokane Chiefs as a long-term solution on D. His 14 goals in the WHL most likely won’t hold up in the NHL, but the potential is there. You heard it here first folks, aside from defence the Islanders also require goaltending, and that’s why they’ll flip their 12th overall selection in this year’s draft to acquire goaltender Philipp Grubauer. 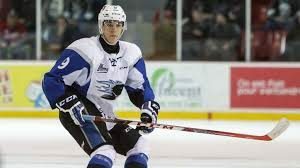 With their 12th overall selection the Capitals choose more depth at centre and draft Joe Veleno, formerly with St. Johns, he was traded to the Drummondville Voltigeurs where he put up 48 points in 33 games. Dallas has the defence; they hope they have goaltending, now all they needed is scoring depth. The Stars have been burned when it comes to drafting Russians before IE Valeri Nichuskin, but that shouldn’t stop them from taking Vitali Kravtsov. Coming off a steller KHL playoffs where he scored 11 points in 16 games, Kravtsov tied the record for most KHL playoff goals by a rookie with six, (Previously held alone by Nichuskin) doing so in nine fewer games. Acquired in the deal that sent Brayden Schenn to St.Louis this is the last unknown piece of the trade left. GM Ron Hextall has said in the past that Philly would likely take a right-shot D in this year’s draft and with a plethora of good D in the draft he has his options. 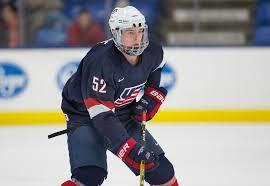 For my money, the Flyers take the player that best suites their needs at 14, Bode Wilde. Another product from the USHL, he owns a hard shot, works well in all three zones and can make a great first stretch pass. Philly jumps ahead of more skilled players to take their man. Fresh off a trade for the controversial Mike Hoffman, it seems as if scoring won’t be a problem for the Panthers this season. Any piece added during the draft likely won’t see NHL playing time without a tremendous camp. 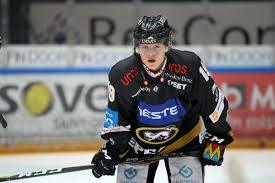 So, at 15 there are still plenty of options left, but the most upside has to be Rasmus Kupuri. Centres are always valued more than wingers and with already established Finnish centre Sasha Barkov to learn from, Kupari could find his way into the Panthers top 6 for years to come. That’s a wrap on my projected top 15 draftees this year, Dahlin and Svechnikov are the real guarantees, and there are a plethora of players taken in this draft that will go on to have NHL success. The Islanders may finally get the goaltending they’ve been hoping for, Philly adds to their prospect pool and Dallas doesn’t regret drafting a Russian this time round. Six seasons removed from making history as the first #8 seed to win the Stanley Cup, the L.A. Kings are in the record books once again. 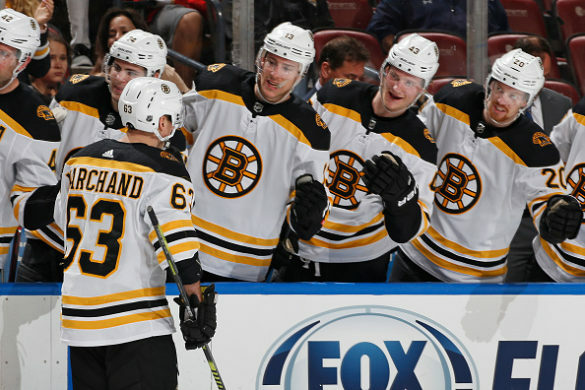 However, this year it’s for their unfortunate demise at the hands of the expansion Las Vegas Golden Knights, as the Kings failed to pick up a single win in their first-round series and become the first team to be swept by an expansion franchise. While only allowing seven goals all series, the squad from Los Angeles only found the scoresheet three times in the four-game sweep. 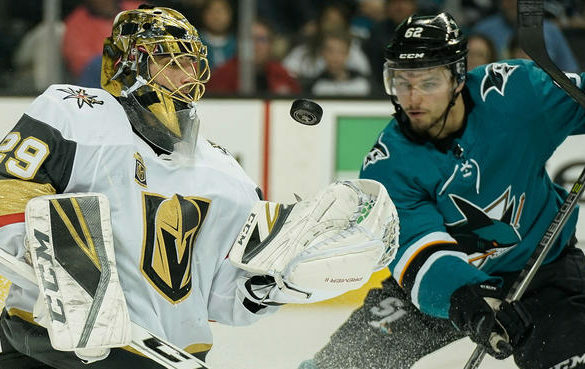 Golden Knights goaltender Marc-Andre Fleury was made to look like the second coming of a sturdily-built brick wall or a Shooter Tutor with no holes; he was simply unbeatable. 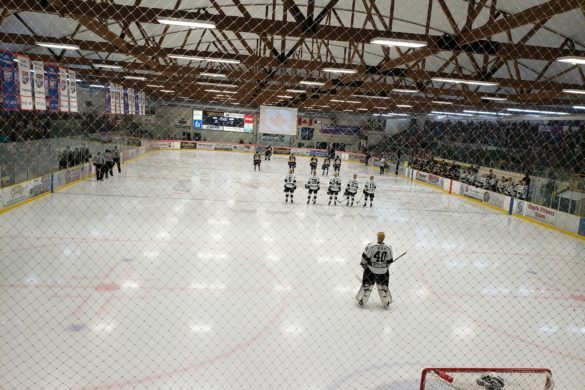 The Kings popgun offence looked atrocious throughout the series, with only four forwards able to scratch the scoresheet.